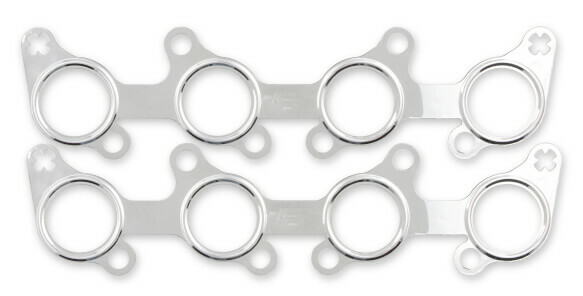 Description: - Multi-Layered Steel (MLS) exhaust and header collector gaskets are designed for extreme cylinder pressures produced by high horsepower-high compression turbo-charged, supercharged and nitrous oxide injected engines. - Manufactured from three stainless steel layers, they resist corrosion, will not burn through or push out and maintain maximum fastener torque retention. 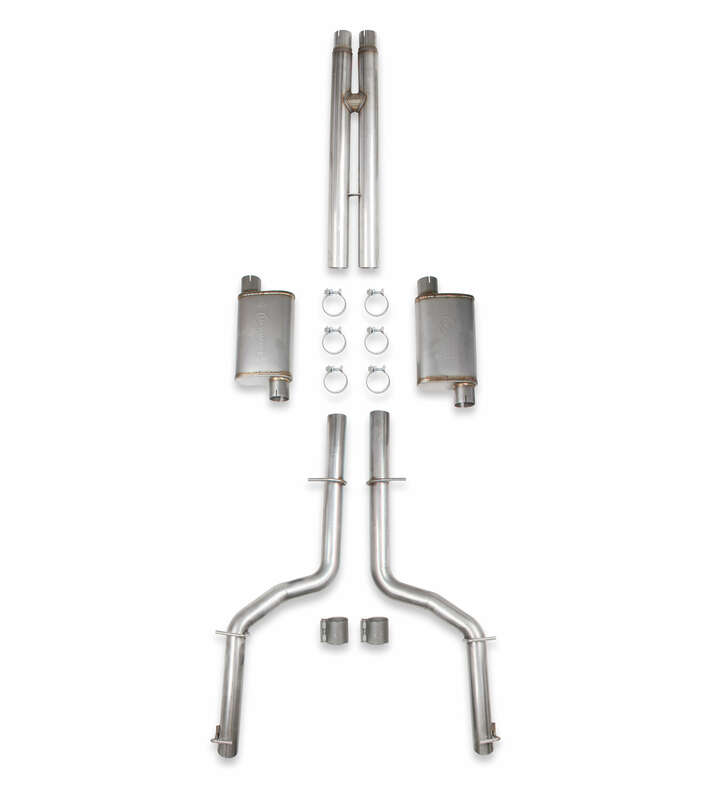 - Stress formed inner and outer layer embossments act like springs that rebound under exhaust flange clamp load, creating force to seal extreme exhaust pressures. Total gasket thickness .072"
Will not deteriorate from scrubbing action caused by different expansion rates in aluminum and steel materials.